The modification job is based on the previous-generation Fortuner, which offered a butch look even in the stock form. Toyota Fortuner is an extremely popular vehicle in the Indian market for a long time now. For years, the Toyota Fortuner has remained at the top of the sales chart in the segment. The Fortuner is known for its reliability and butch looks. 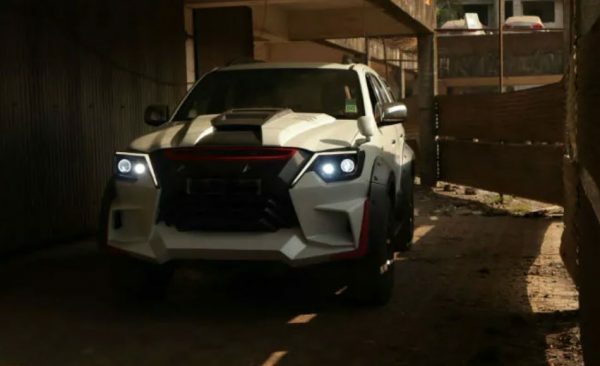 Here is a Toyota Fortuner that has been modified brilliantly by Executive Modcar Trendz (EMT), Mumbai and it looks like a beast. The modification job is based on the previous-generation Fortuner, which offered a butch look even in the stock form. 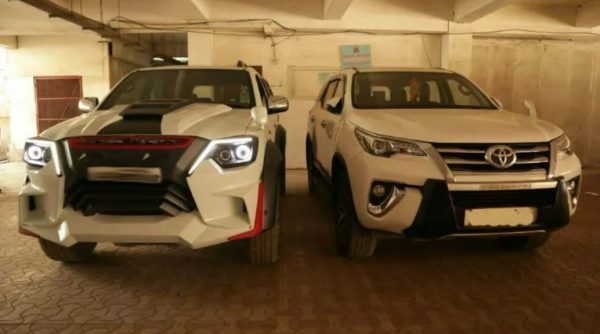 The vehicle gets new body panels all around and the front of the vehicle is extremely different from the stock Toyota Fortuner. It gets newly fabricated front grille, new headlamps with projectors and angel eye DRLs and new bumper in the front. Further, it also gets new bonnet with a heavy and muscular scoop on it. The vehicle gets red highlights here and there to add an aggressive look to it. The new front-end of the vehicle is made out of contrasting black colour, which attracts more attention. There are eyebrow DRLs integrated into the headlamp unit that gives a unique identity to the modified Fortuner. 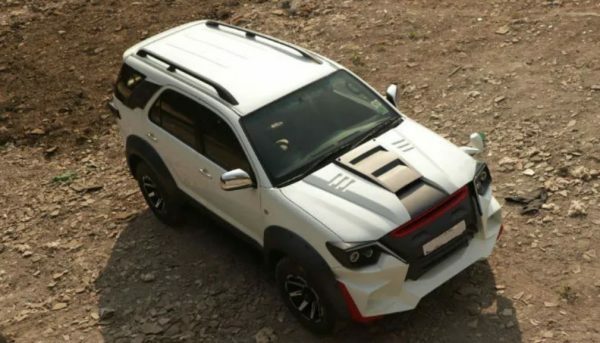 On the sides, the modified Toyota Fortuner gets massive wheel arches, which have adds a wide look to the SUV. It also gets aftermarket alloy wheels with wide profile tyres. 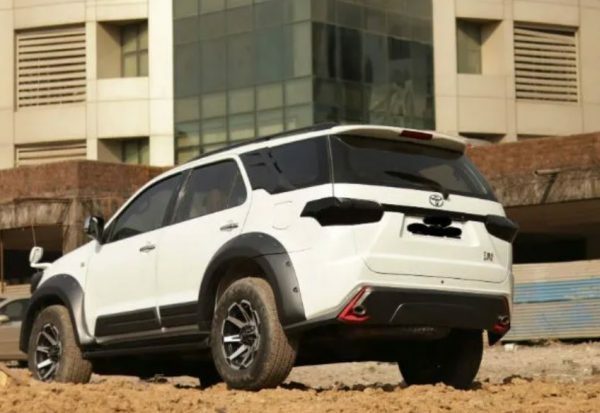 The rear quarter glass window line has been modified to make it look like the new-generation Fortuner. 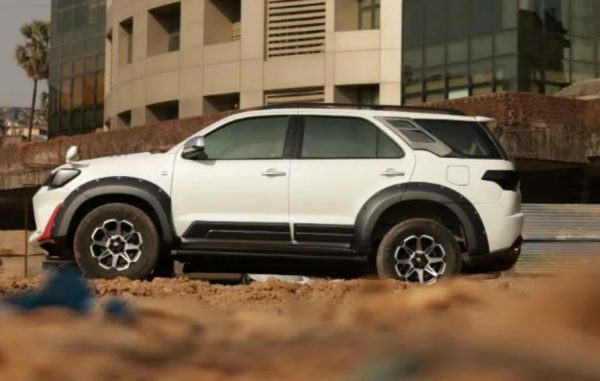 It makes the vehicle look sporty and but it is easily recognisable that the vehicle is not the latest-generation Fortuner due to the size of the glass and the profile of the vehicle. The modifications at the rear are not so intense when compared to the front. It gets smoked tail lamps with the blacked out chrome stripe in the middle that connects both the tail lamps. Other major changes in the rear consist of an aftermarket bumper that gets integrated dual exhaust pipes. The red highlights continue to be present at the rear bumper too. The whole vehicle gets a de-chrome job, which removes all the chrome parts. The only chrome parts are the handlebars and the ORVMs. The most eye-catchy part in the modification job in the new hood. 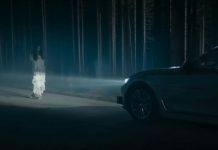 It gets muscular hoods that raises the height of the bonnet. It truly adds a muscular feeling to the vehicle. Apart from the exteriors, the interior of the vehicle has been modified completely too. The vehicle gets diamond-stitched leather seats at the front and rear. It takes comfort to another level. The total cost of the modification of the vehicle is approximately Rs. 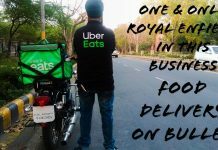 4.5 lakhs excluding the 18% GST. 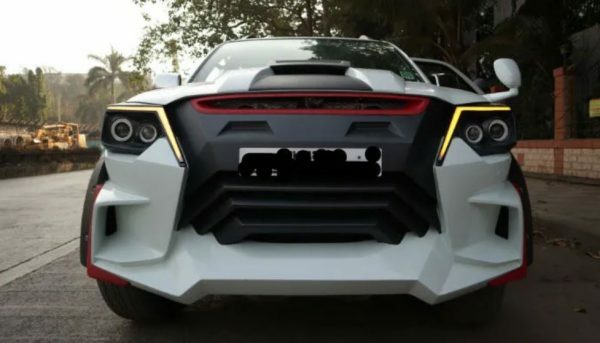 The total time taken for the modification is not known but it sure takes around a couple of months to modify the vehicle like this. For more information, you can contact Executive Modcar Trendz directly on the details given below. Source – Shantonil Nag, Source – Cartoq.